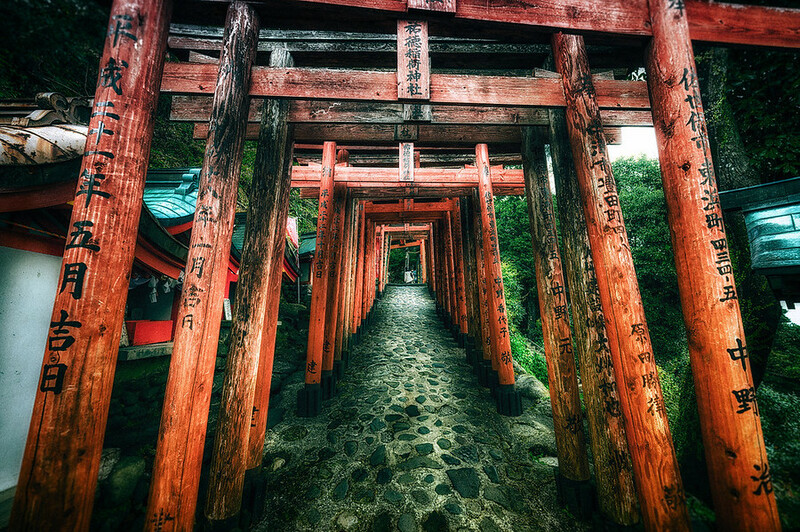 The Yutoku Inari Shrine is built up on the side of a mountain with a trail leading to the top. On the way up you'll pass through many of these Torii as they are called in Japan. It's quite the hike and getting to the top gives you such an amazing view. It was really an awesome experience, but kind of a long hike. Well not too long. Maybe a little over a few hundred yards up a mountain. Something I don't really promote on my site but do get people asking me about is if they can buy or license my photos. I'd thought I would mention it finally since I do get a lot of request. How it works is all my photos are under a Creative Commons License. You can read about how you can use these photos in certain cases for free. All the details are found in my Licensing section. And even more recently I've gotten a few requests on people looking to purchase prints for their house office or where ever suites their fetish. Almost all the photos found on this site are available for sale as prints on my smugmug account. The prints range from less expensive glossy which will you have to mount or frame yourself, to the more expensive stretched canvas or metal prints which come ready to hang. If you're wondering, the pricing on those goes up quickly because of the labor involved. Often times you can just click the photos to be sent directly to that photo on my smugmug account, or even to the direct buy page. For example, you can click the photo below to see all the options.